When visiting Lake Tahoe in the autumn, it seems like life has taken a step into the slow lane. People are moving at a less rushed pace. The traffic is nonexistent. And the number of events happening around the basin diminishes by quite a bit. But that doesn’t mean there isn’t a whole spectrum of fun to be had during the shoulder season between summer and winter. Continue reading to learn about five of my all-time favorite things to do in Lake Tahoe in the fall. Check out the spawning salmon. One of the beautiful aspects of South Lake in the fall is the salmon spawning that occurs at Taylor Creek, one of Lake Tahoe’s 63 flowing tributaries. Situated in a picturesque aspen landscape, the clear, flowing streams are packed full of robustly colored red Kokanee salmon. Flowing with their instincts and the cooling water, the salmon push and shove their way upstream. It is a sight to behold for young and old alike and is perfect for a leisurely stroll that involves fun education. Hike Mount Tallac. This is my absolute favorite way to start getting in shape for the upcoming ski season. It's a picturesque hike that demands a healthy heart and strong legs. 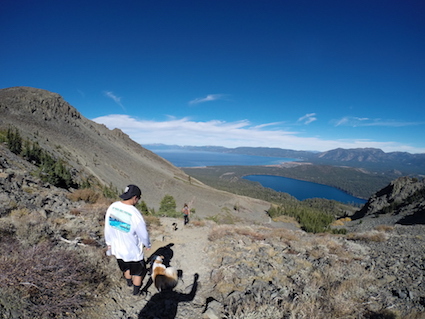 The Mount Tallac climb is held by a meandering single-track trail that carries you over granite cliffs and old forests still home to giant trees. The summit is the real treasure, though. From Tallac’s granite peak, Lake Tahoe glistens in all of her glory. A few words of advice: Be sure to start early and give yourself plenty of time, bring water and food, and don’t forget an extra layer of clothing for the summit. See our version of Vermont. Although the Lake Tahoe area is filled with evergreen trees of different varieties, it is also blessed with certain areas that are rich with aspens and dogwoods that offer a lovely autumn treat of changing colors. The areas that I enjoy most are Hope Valley or Fallen Leaf Lake. Squaw Valley has a small area that showcases the sherbet beauty, as does Ebbetts Pass. Get a soak in. Fall is a great time of year to enjoy the relaxing effects that come from soaking in hot springs. We are lucky enough to have two resorts that offer this healing modality. The first place to mention is Brockway Springs Vacation Resort. On an expansive and private 60 acres, this hot spring resort is a perfect choice for overnight accommodations as they offer their hot spring pool to guests only. 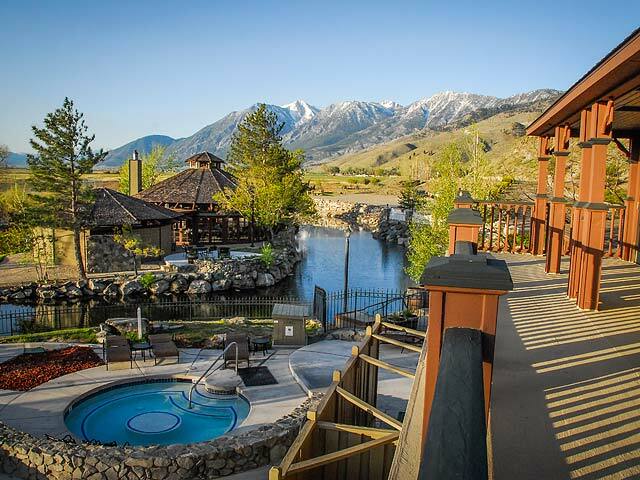 The second option is located just 18 miles east of South Lake Tahoe in Minden, Nevada, at David Walley’s Resort Hot Springs & Spa. Offering both overnight opportunities as well as day use, the resort is an opulent offering for self care. Jump out of an airplane. For those who like to take their adrenaline level up a notch, the fall is a spectacular time to go for a skydive. The company that serves this type of fun is Skydive Lake Tahoe. 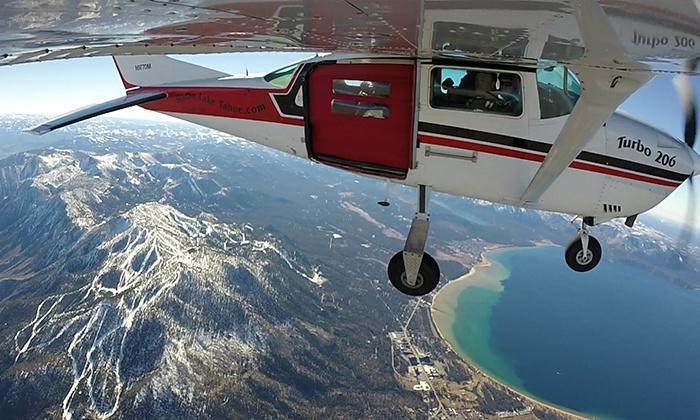 Offering exceptional service and safety, Skydive Lake Tahoe offers the most exciting way to take in the beauty of the entire basin. Located just a hop, skip and a jump from David Walley’s Resort, this can be a great side dish to any fabulous Lake Tahoe autumn vacation. 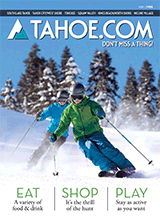 Please be sure to visit our Daytime and Nightlife sections to learn about other fun things to do around Lake Tahoe.